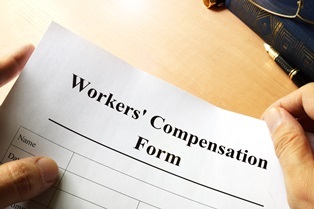 Does workers' comp provide benefits if an employee is injured by workplace violence? Violence in the workplace is more common than people think. According to the Occupational Health and Safety Administration (OSHA), a federal agency tasked with regulating private industry workplace health and safety, as many as 2 million workers report having been the victims of on-the-job violence each year. Workplace violence can come in many forms, including threats or acts of physical or sexual assault, intimidation, harassment, or other threatening or harmful behavior. Instances of violence in the workplace often involve other employees, but in some cases, they may involve clients, customers, and even visitors. A victim of workplace violence may suffer serious physical, emotional, and psychological injuries that require extensive medical treatment. The cost of such treatment can take a toll on an injured worker’s finances—particularly if he’s unable to work while recovering from his injuries. Fortunately, injured workers may not have to shoulder these financial burdens on their own. Workers who were assaulted while performing work-related duties may be eligible to collect workers' compensation benefits—as long as they weren't the initial physical aggressor. Under Georgia's Workers' Compensation Law, workers who are injured on the job are entitled to compensation for related medical expenses, as well as temporary or permanent partial disability payments. An experienced workers' compensation attorney can help workplace violence victims ensure they receive all the benefits they're owed. Georgia's Workers' Compensation Law can be confusing for those who have no previous experience with the system. However, if you sustained serious injuries in a violent attack that occurred in the workplace or while performing your work-related duties, you may be eligible for workers' compensation benefits. The skilled attorneys with Rechtman & Spevak can investigate your claim and help you explore your options for compensation. Contact us today to schedule an appointment for a free, no-obligation initial case consultation.